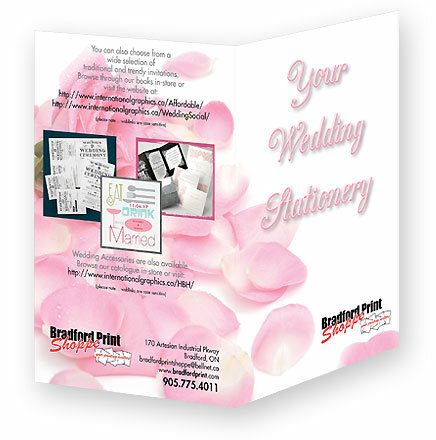 We have several wedding catalogues, which will allow you to browse and see the latest in wedding invitations, and accessories. You can sit down with one of our experts who will use their years of experience to asssit you with all of your options. 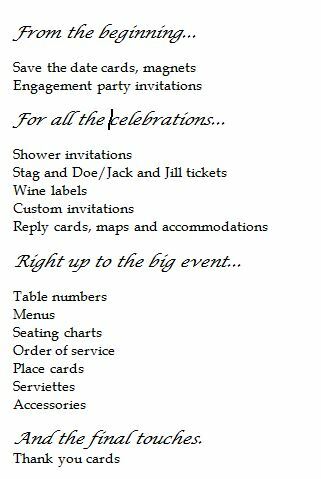 Click here for our accessories catalogue and to see the DIY Invitation Kits that we can print for you. We can also create and print custom greeting cards in quantities of 1 to hundreds. Just ask us how!